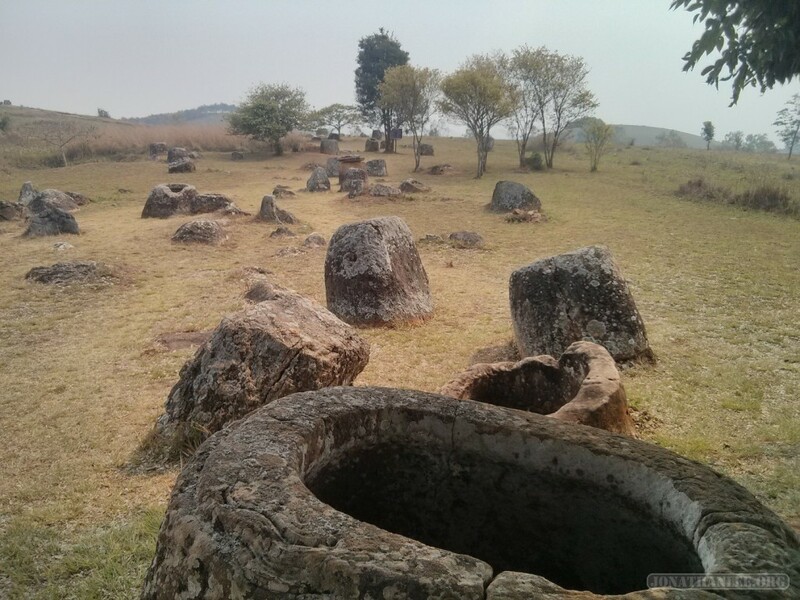 When I came to Laos, I knew that I wanted to visit the Field of Jars, a UNESCO world heritage site. I’ve got a hankering to visit these types of places, I’ve noticed – if UNESCO deems it a world heritage site, it must be interesting! And so, from Luang Prabang, I took a bus to Phonsavan, the closest city to the Field of Jars. 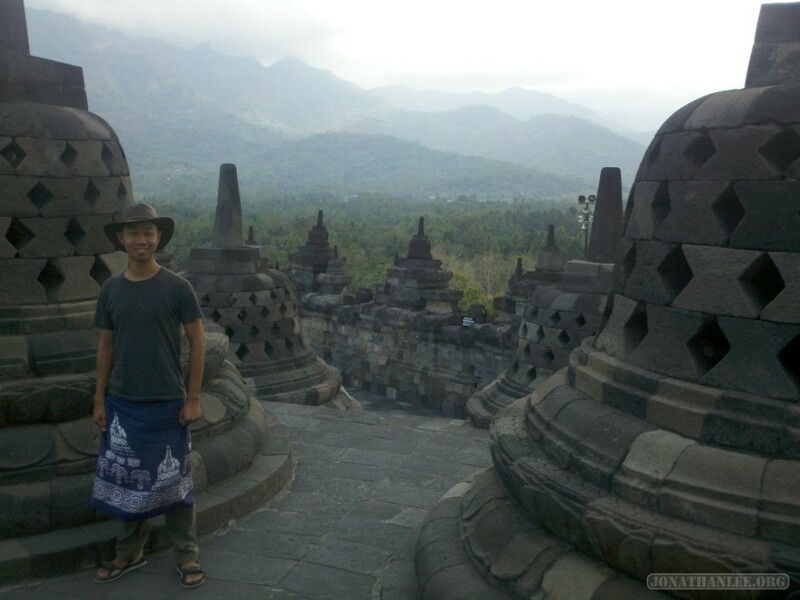 Borobudur, a Buddhist temple built a bit more than a millenia ago in central Java near Yogyakarta, is a UNESCO world heritage site and a massive tourist attraction, so of course I had to go take a look. Much like Prambanan, Borobudur was forgotten and “lost” from records a couple of centuries after it was built, and remained hidden in the jungle growth for centuries, until it was re-discovered along with Prambanan by an explorer commissioned by Sir Raffles (is there anything he can’t do?). 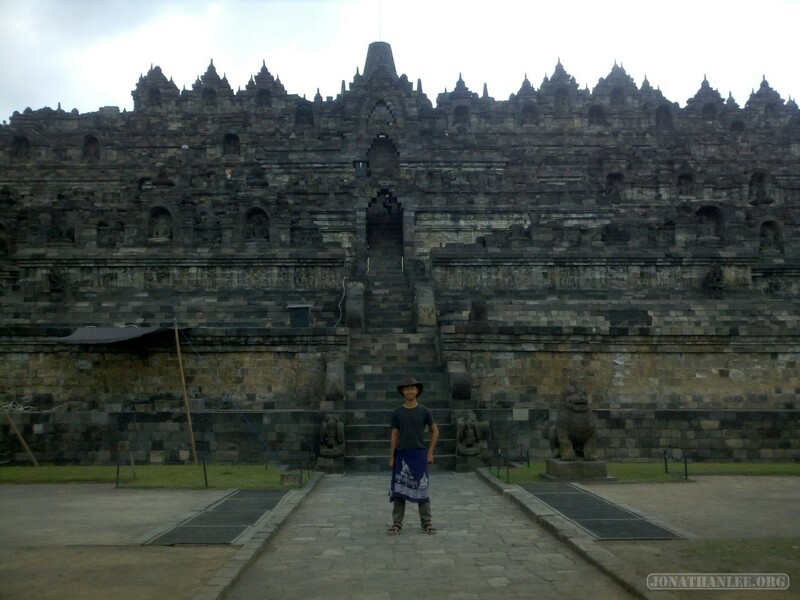 And now, like Prambanan, archaeologists are working to restore the temple. Indonesia is known for its rice paddies, and the rice terraces of Bali are especially famous. 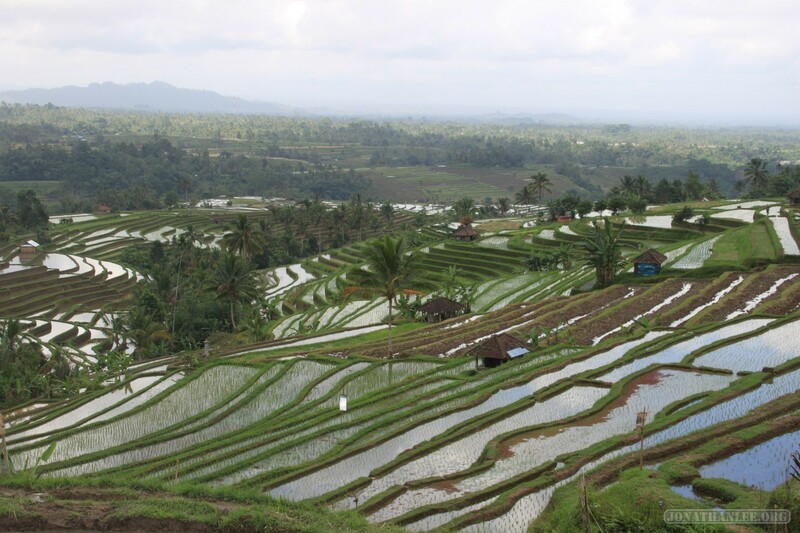 It’s really cool, how the Balinese people have taken a hillside, transformed it into a series of flat rice paddies, and then built a massive irrigation system to keep it all watered. The irrigation system of the terraced rice paddies are noteworthy enough to have been designated a UNESCO world heritage area! There aren’t really any stories to tell about visiting the rice paddies (other than my two Swiss compatriots constantly telling dirty jokes), so enjoy these photos of the rice terraces of Bali! This is a photo-filled and text-light post.